NSS is a platform to sensitize students to social issues and to offer services to the society with a mission to bring happiness and smile on many faces. July 17, 2017: In the beginning of the session, ten NSS volunteers of our college participated in the second International Day of Yoga organized by NSS center, University of Delhi, and welcomed the Queen of Thailand and foreign dignitaries. July 27-28, 2017: Then a two days Voter’s Drive was organized in collaboration with Chief Electoral officer, Delhi. 95 students registered for the same. The SVEEP ambassador and BLO helped students understand the importance of voting. August 2-15, 2017: Swacchta Pakhwara was celebrated in which the program Officer gave a brief speech about the mission our Prime Minister had launched with a vision to make a clean India by 2019, the 150th anniversary of Mahatma Gandhi. 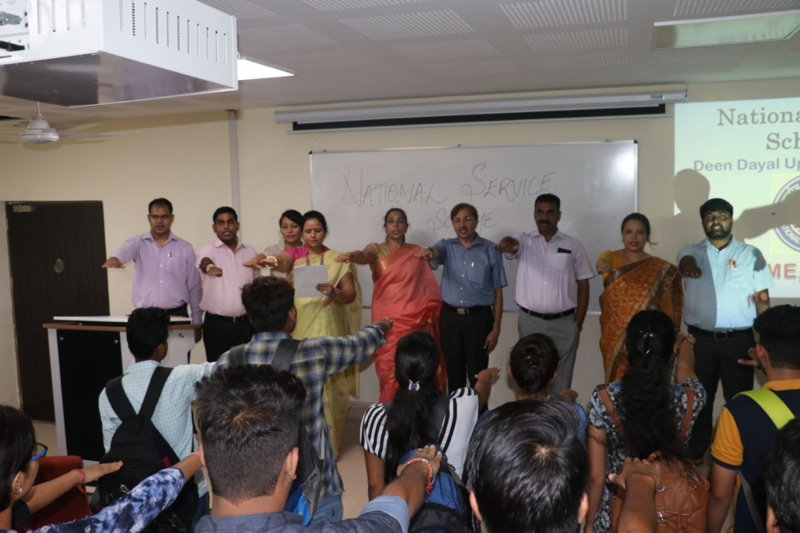 August 11, 2017: Orientation Program was organised to brief the new members of NSS about its agendas during which the principal shared his views and motivated students to give some of their time to social service. Volunteers showed their dedication and interest in social work, this year 200 students registered. September 14, 2017: In collaboration with Red Cross Society, the NSS unit organised a Blood Donation Camp in the college premises and a total of 121 blood units were collected. September 19, 2017: A lecture on Time Management and Leadership qualities was conducted Miss Veena, who threw light on how to manage our social and academic responsibilities simultaneously. An informative and interactive session on "Panoramic view on common eye disorders and their solutions" was organised where topics relevant to eye care and the treatment of eye problems were discussed with Dr. P V Chadhha, a renowned Opthalmologist and eye surgeon. October 16, 2017: Organized a rally and door to door campaign on "Clean and Green Diwali" and spread awareness about saying NO TO CRACKERS and promote methods by which we can celebrate a happier and safer Diwali. 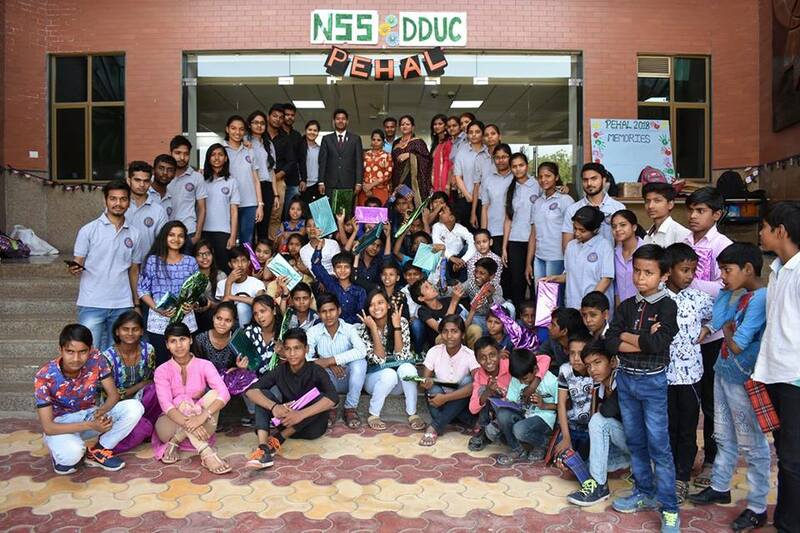 In a bid to include an element of surprise in Diwali celebrations, NSS DDUC organized a visit to an Orphanage, Grace Foundation and conducted various activities there. October 30 to November 4, 2017: Vigilance awareness week was observed by the NSS. In association with Youth Ki Awaaz, we organized a Voter Awareness Workshop. In association with Sri Venkateshwar hospital, Dwarka, we successfully organized a Free Health Check-up camp where more than 250 people got tested for Blood pressure, BMI, Random blood sugar and Electro Cardiography. October 31, 2017: The 142nd Birth Anniversary of Sardar Vallabhbhai Patel was observed as the Rashtriya Ekta Diwas (National Unity Day). A mass pledge took place to commemorate the great sacrifice of freedom fighters and to sensitize everyone towards our Freedom struggle and the Quit India Movement. The volunteers took an ‘Integrity Pledge’ under the theme of ‘My Vision-Corruption Free India’. November 7-8, 2017: In collaboration with the Chief Electoral Officer, Delhi, we organized a special camp under the Special Summary Revision of the Electoral Roll for inclusion of eligible young citizens in the voter list. Activities such as Craft making for differently abled and Swachta awareness were carried out in collaboration with organisations like Masoom Duniya. NSS volunteers also participated in the Promotion and Awareness of the Health Scheme of the Government of NCT, Delhi to provide free tests and surgeries to needy people. A lecture on awareness about Hepatitis marked the beginning of the second half of the session 2017-18. January 1-20, 2018: A cloth and stationery collection drive was held, which was followed by a donation drive in the adopted slum. 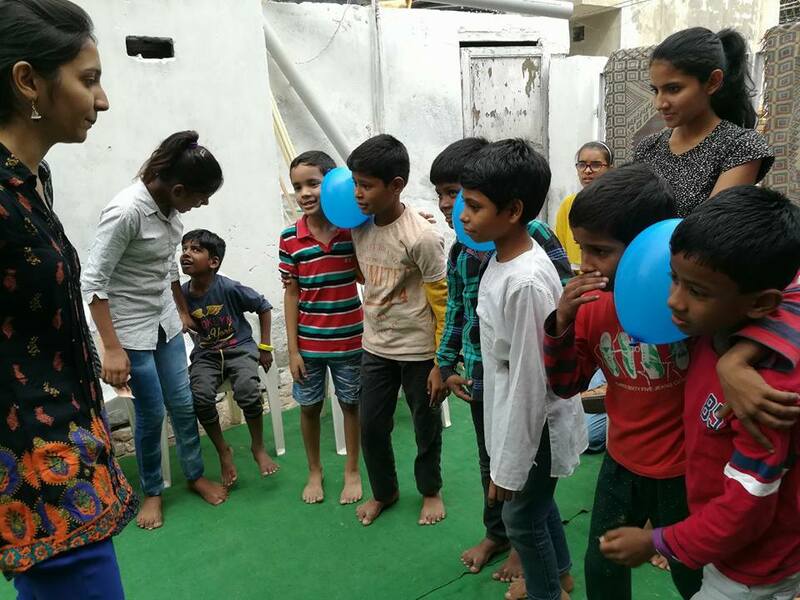 NSS unit adopted a slum located in JJ COLONY Sector-3, Dwarka with the purpose of revamping the condition of the people living there specially children which is conducted by providing holistic education (activities like basic computer knowledge, general knowledge, singing classes and dancing classes). Also, donation drives, festival celebrations, health awareness scheme through door to door campaign and street plays, cleanliness drives etc. were also organized in the slum area. National Girl Child Day Celebration: NSS volunteers and Team WDC jointly contributed by volunteering in managing the event. Apart from these events, this session a free health check-up camp was organized for girls in the college premises where over a hundred girls got consulted by dietician and gynaecologist from Sri Venkateshwar Hospital. A week long Self Defence Training was organised in the college jointly by NSS and WDC with Delhi Police. NSS also organised an Immunization Camp for the people living in the adopted slum against Hepatitis-B. To provide a helping hand to our college gardeners, NSS volunteers came forward and devoted one hour every day in their work. The volunteers are also involved in writing for blind students of Blind Person Association, sector 13, Dwarka and also for the blind students of our college. On April 14, 2018 we celebrated our annual fest, PEHAL where students from orphanage and slum were invited and various fun activities were organized for them. Around 150 students, including many first timers participated in the inaugural function held on 12th August 2016. 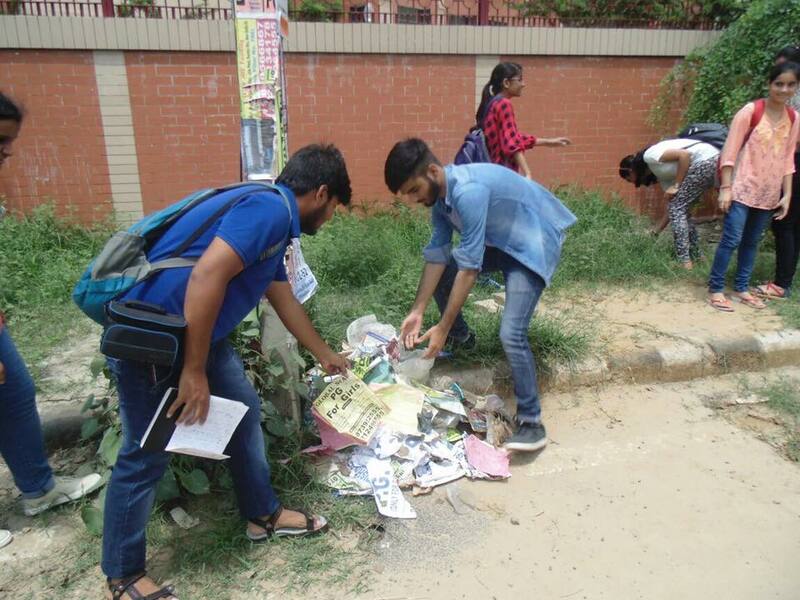 In September the NSS volunteers cleaned the boundary walls of the college by removing the posters pasted at the time of union election. Also 15 volunteers helped the library staff in setting up the library devoting time on daily basis from9th to 22nd January. To sensitize the students about physically and mentally challenged people, volunteers prepared nd performed a street play called 'Bas ab aur nahi' on 30th September, 2016. Two NSS volunteers got enrolled with the University NSS as SVEEP (Systematic Voters' education and Participation Campaign) ambassadors, and as part of Youth Electoral Campaign. Over 110 students got their voters Identity card made at a camp organized bythe Electoral Office on 20th Oct.2016 with the help of the NSS volunteers. A blood donation camp was organized with Aahuti Welfare and Indian Red Cross on 4th Nov. Around 120 students came forward for blood donation and 68 units of blood was collected. A free health checkup camp for female students of the college was organized with Aahuti on 11th January. Around 150 students consulted Dr. Smita Gynecologist, Saket and Dr. Smritia dietician and got their hemoglobin levels checked. Eight NSS volunteers after being trained, by Chief Election Officer, Delhi in collaboration with Ministry of Social Justice, worked to facilitate disabled voters cast their votes in the by election (Rajouri Garden), on 9th April, 2017.Three cartons of winter clothes were collected and distributed amongst the needy together with Deen Daya lLok Foundation. We continued our work with the children from slums and JJ colonies this year too. 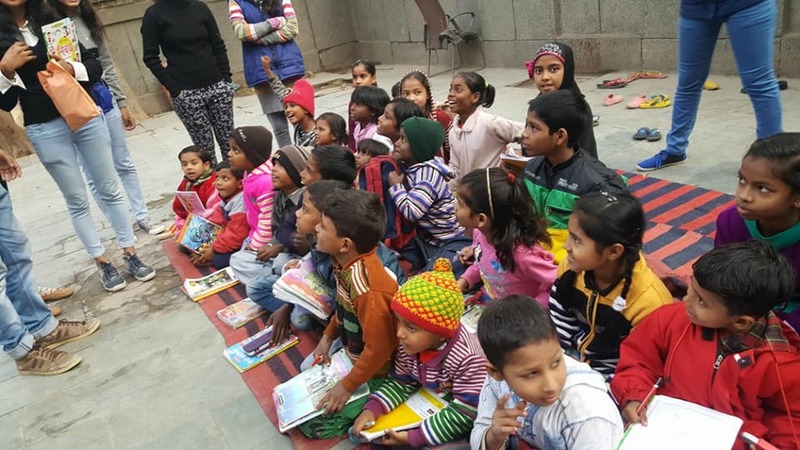 Our volunteers helped children in their studies at (1) center run by an NGO called Ran Bhoomi Foundation at JJ colony Sector 16 B, Dwarka and (2) center in Ramesh Nagar run by Reach Out and Pass it On (ROPIO). A two days festival was organized by the NSS unit on 23rd and 25th of March. On the first day a convention on 'Rehabilitation of Street Children' was held. Ms. Roopa Kapoor, from National Commission for Protection of Child Rights (NCPCR),was the chief guest. Representatives from NGOs – Jamghat, Prayas, Badhte Kadam and KAVERI working for the rehabilitation of street children participated in the panel discussion. It was heartening to hear the success story of the children of Badhte Kadam, who are publishing a newspaper, Balaknama, on street children for many years. On the second day several sports and talent competitions were held for the children from Sector 16, Dwarka and Ramesh Nagar. Over 50 children participated. The activities of NSS started with an orientation program in August introducing the motto and working of the NSS to new volunteers. A cancer awareness program was also organized on 31st August in which Ms. Nitilekha who is herself a breast cancer survivor addressed the students and told them about possible ways of reducing the risk of the disease as well as how to face it courageously. The prime activity of the Unit is to teach underprivileged children.Every volunteer devotes some time teaching the children living in nearby Shadipur slum or at a school run by an NGO called “ROPIO” in Ramesh Nagar. This year, an informal school ‘Pathashala’ was startedfor children of Sudamapuri, a slum near the college.Initially it was run in the college premises but later relocated to their living place in a makeshift tent. The volunteers also initiated a drive among the students and staff of the college to collect usable books, stationery, toys, clothes and other useful items which can be reused byneedy children. The volunteers participated in the programs organized by the NSS Center of Delhi University. This year one volunteer Gurpreet of B.Sc. (H) Mathematics III year was selected for the Pre Republic day Camp. 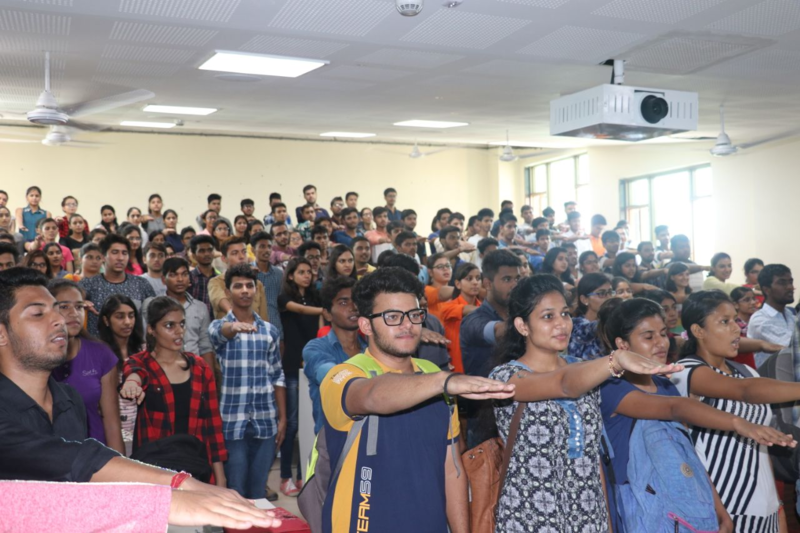 The activities of the NSS Unit of the college started with an orientation programme for new students. The aim of this programme is to enlighten them about the purpose of NSS and inform them about the activities undertaken by the college unit. The orientation programme was held on 8th August 2014. About 50 students attended the meeting. There was an extensive discussion about the type of work that should be undertaken by the NSS Unit and it was finally decided to focus on the underprivileged children residing in slums. Several organisations were contacted for this purpose and the final arrangement was done with ROPIO Foundation, Ramesh Nagar. ROPIO Foundation works with children residing in a slum in Ramesh Nagar. Our NSS volunteers regularly visit the school run by this NGO and help in teaching the students subjects like English, Maths and Science. They also helped in making greeting cards and trinkets for Diwali stalls. During the harsh winter months they helped in collection and distribution of woolen garments among the needy. One important aspect of NSS is to create awareness about the problems faced by the differently abled persons. A seminar was organized on 15th October 2014 to sensitise the students and to promote the concept of organ donation in collaboration with Saksham, an organization that works with the differently abled. 20 volunteers pledged to donate their eyes on this occasion. 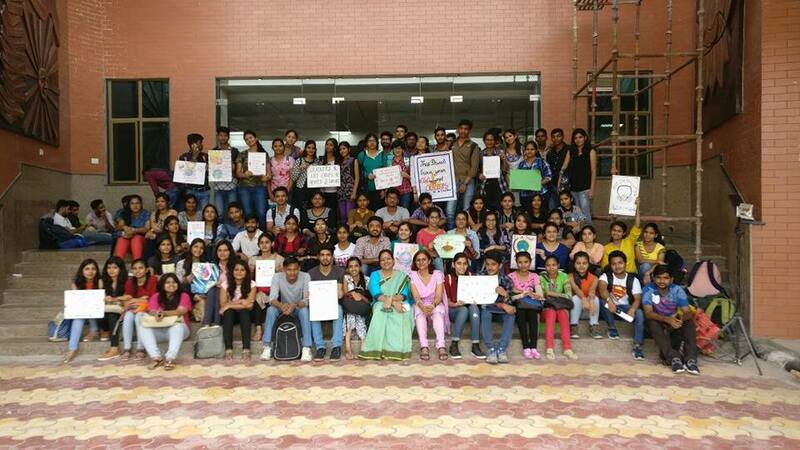 The NSS volunteers also participated in various events organized by the NSS center of the University of Delhi like the Swacch Bharat Abhiyan, Ekta Diwas and Antardhwani. Having exposed to the lack of educational and medical facilities to the under-privileged sections of the society, some of our students led by Mr. Rahul Sharma and Ms. Rajpriya Kaushik of B.Sc. (H) Physics, 2nd yr. have decided to start an NGO named Deen Dayal Lok Kalyan Foundation (DDLK Foundation).